Extravagent, Fit in every motion “Govinda” is back on Screen with two heart breakers of Bollywood this time. First in the line is Ranveer Singh who has delivered some mind bobbling performances in Ramleela and Gunday. The next one is the hit face of the Pakistani film industry ,Ali Zafar. Crave between the two is Parineeti Chopra in an indo-western style of her own. 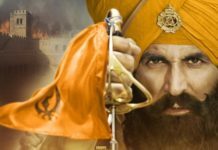 The trailer looks impressive from the word go powered by some high-octane action sequences and desi dialogurebaazi from the main leads. Ranveer’s first dialogue in the trailer, “Main tabse gun chala raha hun..jab tu apne Maa ke andar nahi…apne baap ke andar tha..” will get lots of claps and whistles in cinema halls. 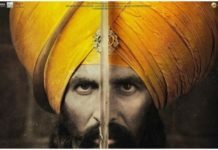 The movie seems quite contrasting and unique when compared to the other action thriller of Bollywood. Ranveer Singh impresses with his wild looks and dialogues while Ali Zafar looks good vibrant and deadly in desi raw boy avatar. Parineeti looks and character seems quite different from what she has done earlier. She looks absolutely crazy in the trailer. But it’s the Hero No.1 of Bollywood Govinda who steals the show as bad daddy. Govinda is playing the role of Ranveer’s father in the movie. The plot of Kill Dil revolves around two killers Dev (Ranveer Singh) and Tutu (Ali Zafar). Govinda, who is playing a bad guy, will be seen as Bhaiyaji in the movie who gives shelter to Dev and Tutu after they were abandoned when young. The twist in the story comes with the entry of free-spirited Disha (Parineeti Chopra). Yash Raj films is known for experimenting with different genre and Kill Dil is something which looks experimental and vibrant from Shaad Ali. The movie stars Govinda, Parineeti, Ranveer and Alia Zafar in lead roles and is slated for 14 Nov 2014 release. I am certainly waiting for this one. 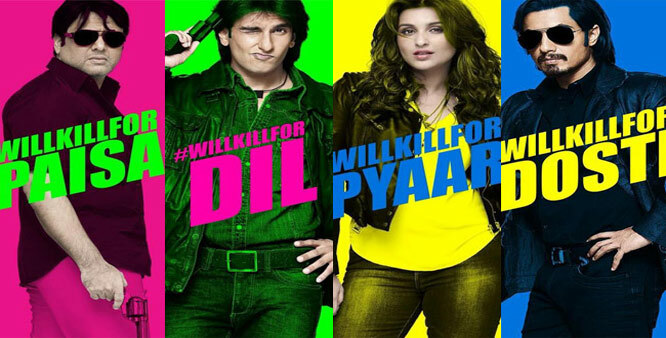 Do you like the Kill Dil Movie Trailer . Share your thoughts with us.